Must my rental lease be in writing? No, a lease may be either oral or written. However, it is usually best to get it in writing. This helps to avoid misunderstandings and resolve disagreements that may arise later. Take time to read the lease before signing it. The law requires a landlord to provide a copy of the lease to the tenant. If one is not offered, be sure to ask for your copy, and keep it in a safe place for later reference. Can a landlord turn me down as a tenant because I am a senior or disabled? Yes, but there are exceptions if federal funds are involved. Other than where federal funds are involved, there is no state prohibition against discrimination against a person because he or she is elderly. If you suspect you are being denied housing because you are disabled or a member of a minority group, you may contact local agencies or legal service programs described in Resources. See below for more information on disabilities and owning a pet. Does my landlord have to fix things in my house or apartment? Your landlord must keep your house or apartment in “habitable condition,” which requires effective weather protection of the roof and exterior, properly functioning plumbing facilities, a water supply, a sewage disposal system, heat and power. Your landlord does not have to fix damages caused by you or your guests. If you believe your landlord is not meeting his obligations you must begin with a written letter describing your complaint and allow the landlord an opportunity to correct the problem. If your landlord fails to fix the problem, you may be able to fix it yourself and deduct the cost from your rent, to cancel your lease, or to sue your landlord for damages. Exactly what you should do will vary with the situation, so you should check with an attorney or legal services agency before taking action. In addition to paying rent, you must also follow all the terms of the lease and keep your apartment or house in a clean and safe condition. Don’t damage the premises and don’t disturb your neighbors. You are also responsible for the conduct of your guests. When you move, leave your apartment or house in substantially the same condition as it was when you moved in. Can I install grab bars, lower my counter tops or make other needed modifications against my landlord’s objections? Yes. You have the legal right to do so if the modifications are necessary to afford you full use of your apartment. This also includes making curb cuts if you need them. In most cases you must pay for the cost of making these modifications. Though the law requires that when you leave your apartment you restore the premises to their original condition, this is rarely required because the landlord is likely to consider such improvements a benefit to future tenants. If the landlord refuses your request you may file a complaint with the U. S. Department of Housing and Urban Resources. A number of agencies and legal service programs are listed in the resources that may be able to assist you. Can the landlord raise my rent? Yes. There is no rent control in Nevada and no limit on how much your rent can be raised. The landlord must provide you 45 days advance written notice of an increase so you have time to decide whether to pay or move. If there is a lease, rent can only be increased at the end of the lease unless the lease provides for an increase before the end of the lease. As a senior do I have any special rights regarding rental or lease terminations? Yes, you have special rights in two situations. First, if you are 60 years old or older you may ask for an extra 30 days to allow more time to pack and find another place. If your landlord says “no” you may go to Justice Court for an order allowing the extra time. Second, if your husband, wife or roommate who is age 60 or older either dies or has to move because of a need for care or treatment which cannot be provided at home, you may terminate a lease before it ends by giving written notice to the landlord. Can my landlord evict me for any reason at all? If there is no lease, a tenancy can be terminated “without cause” 30 days after you or your landlord serves a written notice of termination upon the other one. This does not require a special form other than a clear statement that you intend to terminate by a certain date. If there is a lease it can only be terminated “without cause” at the end of the lease. In this case, you should still notify the landlord in writing at least 30 days before the end of the lease that you do not intend to renew the lease. Tenancies can also be ended “with cause” in the middle of a lease if you or your landlord breaks the terms of the lease agreement, such as your failure to pay rent or your landlord’s failure to keep the premises habitable after written notice. When can a landlord evict me? You can be evicted if you fail to pay the rent, if you violate the lease, or if you create a nuisance for your neighbors or violate the law. The landlord begins an eviction by serving a notice upon you, either in person or by attaching it to your door, advising you to move or face eviction. If you oppose the eviction, you must file a tenant’s affidavit with the Justice Court for the Township where you live and you will be granted a hearing. You generally have five days to do this, so you must act quickly. Most Justice Courts have developed forms you can use. If you do not do so, or if the judge does not agree with your side of the story, you can be locked out of your apartment in as little as 24 hours after the eviction is granted. The landlord cannot lock you out himself without a judge’s order. If you are locked out illegally you may apply to the Justice Court for an order allowing you back in and for money damages from the landlord. Can I stop the eviction if it will leave me homeless? No, this is not a defense to an eviction. You can ask the Judge to delay the execution of an eviction order for up to 10 days. What happens to property I left in the apartment when I moved? Your landlord is required to keep your property for at least 30 days. The landlord can make you pay the reasonable cost of moving and storing it as a condition of returning it to you, but your landlord cannot keep the property to force you to pay any rent you owe him. If you believe the landlord is charging too much for storage you can file a motion using a form provided by the court, disputing the storage costs. Your landlord must also provide at least 14 days’ written notice to your last known address before getting rid of your property. What is the law governing return of my security deposit? Your landlord may use as much of your deposit as is reasonably necessary to cover back rent, repair damages other than normal wear and pay the reasonable costs of cleaning. Your landlord must tell you how much of your deposit has been used for these purposes and return the balance of your deposit within 30 days after your move. If you do not agree, you can file a small claims action. 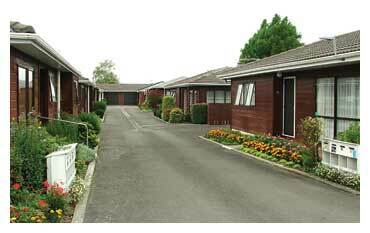 What are my rights if I own a mobile home and live in a mobile home park? You cannot be evicted from a mobile home park unless you violate a rule that previously you have been warned about, violate your lease, create a nuisance or don’t pay your rent. You cannot be evicted just because the manager is mad at you. If the manager does try to evict you, he must file a formal lawsuit in Justice Court. The Justice Court should have forms you can use to prepare and respond to such a lawsuit. If a mobile home park is planning to close, you have additional rights that may help you. Can my landlord prohibit me from having a pet? Yes. Many private landlords prohibit pets. However if your doctor indicates in writing that a service animal or companion pet will help alleviate the effects of your disability the landlord is required to accommodate you and allow your animal. Under the Fair Housing Act the landlord is required to accommodate your disability in many ways. The landlord is required to make reasonable adjustments to rules such as for pets and for assigned parking spaces and must allow you to modify your apartment at your cost if necessary. If your landlord is unreasonably denying your written request for an accommodation or modification or you suspect you are being denied housing because of your disability or because you are a member of a minority group, the resource section identifies a number of agencies and legal service programs that can assist you. What in-home services can help me with normal activities such as shopping, cooking, bathing or housekeeping so that I don’t have to move to a group home or a nursing facility? Whether you live in an apartment or your own home there are a number of services, both governmental and private that can help you with various activities such as cleaning house, shopping and personal care such as bathing. The government sponsored programs, like Homemaker programs (Washoe County and Nevada’s Division for Aging Services) or the CHIP programs (Nevada’s Division for Aging Services) have income and asset requirements. See Resources. These programs usually have a waiting list. Private companies also provide in-home services but may be expensive. Of course, you may always ask a friend or relative to assist you but you should be careful about the persons you invite into your home. Many cases of elder exploitation are the result of elderly persons asking unlicensed persons, even people that one might consider friends, to provide them with services. It is always best to consult with public agencies before you take that step. If I am no longer able to stay in my home are there alternatives to a nursing home? Yes. There are a number of private “Assisted Living Facilities” which are fairly expensive and a number of group homes that are less expensive. Depending on your income, you may be eligible for government assistance to help you pay for a group home. Will Medicare cover the costs of a caregiver? Medicare can pay for nursing home stays up to 100 days, if the stay is associated with necessary medical care or rehabilitation. Medicaid will pay for long term “custodial care” for individuals who are low income with limited assets. The nursing home should assist you with the Medicaid application. Is there any assistance available for family members who take time off work to care for an ailing parent? Yes, possibly. Family temporary disability insurance may provide a family member with up to six weeks of pay if they take time off work to care for a seriously ill child, spouse, parent or domestic partner, or to bond with a new child. Workers contribute to the insurance program. Current law also allows workers, if they meet certain criteria, to take a leave of absence of up to 12 weeks during a 12-month period if a parent or spouse is undergoing treatment in a hospital, hospice or other health care facility. Is a child legally required to support a penniless, bedridden parent? Anyone, including a child, who has been caring for a person who is unable to care for themselves, has a legal obligation to continue that care or provide for a new caregiver. A person that has never taken this responsibility is not legally obligated to do so.